User group profiles are created during User Analysis, which is covered in the Accessibility in Analysis chapter. The first task in developing user group profiles is defining user groups. Typically there are several categories of users for a given product. For example, a web-based application that handles human resource (HR) management data (employee records, compensation, benefits, etc.) might have the following user groups: HR managers, HR specialists, HR administrative assistants, non-HR managers, non-HR administrative assistants, employees, and retired employees. Generally, user group profiles are not developed for all user groups, rather they are developed for the primary user groups and for user groups that designers don't know well. Because many designers start out with little or no knowledge of accessibility issues, adding accessibility considerations to user group profiles is particularly important. Because people with disabilities are potentially members of all user groups, accessibility considerations apply to all user group profiles. When redesigning existing products, be careful to avoid the pitfall of "we don't have any users with disabilities". An existing product that is inaccessible is quite likely not to have users with disabilities, whereas if it is designed to be accessible, users with disabilities might use the product. Another avoidable pitfall is making assumptions about what products a person with a disability does or does not want to use. For example, in one case a designer assumed that a person who is blind would not have any reason to use a photocopier. However, a person who is blind might use a photocopier to make copies for others or to copy pages from a book in order to scan them into a speech output program. A usability testing participant with low vision remarked when he was frustrated by inaccessible websites when he was comparing auto insurance rates for his wife's car and he said, "as though a person who doesn't drive would not be buying auto insurance." In some cases, a person with a disability might actually be a potential user of a product even when their other characteristics don't fit the primary user profile. Some people with disabilities need features found only in high-end products. For example, a digital recorder with audible cueing and indexing that was designed for executives might be used by a student who is blind. 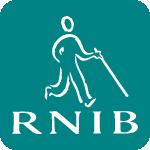 Software: information on age-related visual impairments and that some may have large fonts set in their operating system or software (for example web browser), and may use screen magnification software or screen readers. The next section, Example User Group Profiles , provides user group profiles that include accessibility considerations. Nielsen, J. Usability Engineering . Boston, Massachusetts: Academic Press, 1993. Dumas, J.F. and Redish, J.C. A Practical Guide to Usability Testing . Portland, Oregon: Intellect Ltd, 1999. Henry, S.L., Martinson, M.L., and Barnicle, K. Beyond Video: Accessibility Profiles, Personas, and Scenarios Up Close and Personal . Proceedings of UPA 2003 (Usability Professionals' Association annual conference), 2003.